Jesus is the promised Saviour through whom God fulfilled the promises he made to his people in the Old Testament. 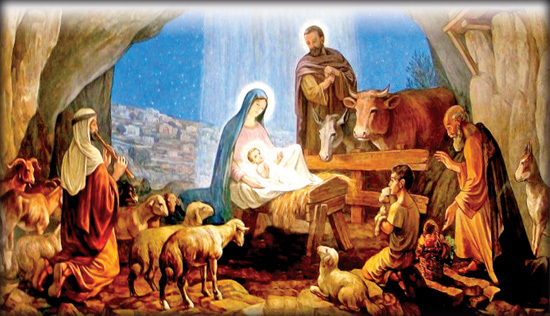 It began with the birth of Jesus which all Christians know and believe in. He hails from the line of David who was a descendant of Abraham. Church bells in the birthplace of Christ will ring out this year their Christmas message to a world threatened by man's suspicions and hatreds. The chimes from Bethlehem will carry not only joyful tidings of peace to men of goodwill, but also a grim warning to mankind to beware of self destruction. We are in the season of Advent, when we prepare our hearts in a special way to welcome the King of Peace historically born 2,000 years ago. At the same time Advent reminds us of the same King who is expected to come in glory at the end of world to judge us according to our deeds of love.